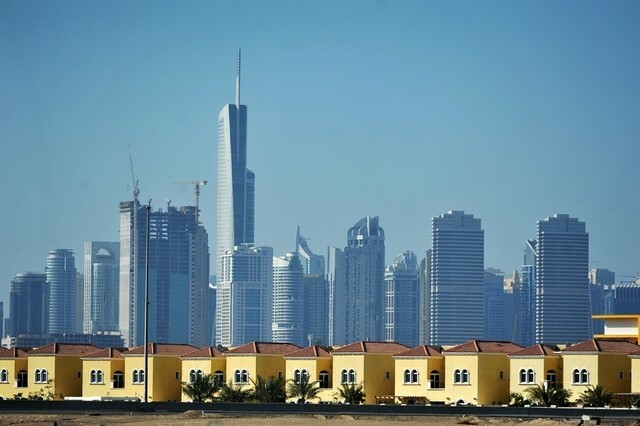 The Dubai Government’s introduction of a new law to cover surveying will help ensure that data used for the emirate’s development is much more accurate, according to one of the global property industry’s biggest trade bodies. The Government said last week that a new law, Law No (6) of 2017, would cover activities such as land surveys, hydrographic surveys and seismic surveys carried out across the city. It said Dubai Municipality would now regulate this activity and become the official source of land survey data, including the management of all city maps and site maps on both government and granted land. It also “forbids any person to conduct surveying activity in Dubai”, including sites in private development zones and free zones, without first gaining authorisation. Surveyors will also be licensed. Rob Jackson, the Middle East & North Africa director for the Royal Institution of Chartered Surveyors (RICS), said the new law should be welcomed. He said that it follows on from a similar move in Abu Dhabi last year (although the former was more wide-ranging, covering activity such as building and quantity surveying). He said in both instances the need for the law was driven by a requirement for more consistent citywide survey data. In Dubai, for instance, the municipality did not have control over the standards being adopted within various free zones. “What you end up with is surveyors doing various types of land surveying geomatics for urban planning, infrastructure and utilities. All of these need topographic and land surveys, but under the different jurisdictional areas everybody is doing it slightly differently,” said Mr Jackson. A consequence of this is that attempts, such as the one currently being made by Dubai Municipality to build a three-dimensional city model, can be hampered by inconsistent data. “The best analogy is if you gave a jigsaw puzzle to four or five people to do and gave them a bit each, they’d complete their own bits but you couldn’t join the puzzle together,” Mr Jackson said. Mr Jackson said he would welcome more details on the substance of the new rules – most importantly on how firms and the individual surveyors employed by them will be regulated. “This is what we’re working on with the Abu Dhabi Government at the moment – the regulatory model that sits behind the law. Because we want to make sure that the regulatory framework works and that the Government are not creating liabilities for all surveyors. Ali Mohammed, an executive manager for Dubai-based Alwarqa Survey Engineering, said he did not think the new law would change its working practices much. “We are in daily coordination with Dubai Municipality and we are doing work which has been monitored by them,” said Mr Mohammed. Since April 2016, the Municipality has charged companies submitting survey data and reviews all of these submissions before land surveyors submit them to clients, he said. He added that even within free zones, other organisations (such as Trakhees, which controls Jebel Ali Free Zone, among others) use a common system known as the Dubai Virtual Reference System for survey data.